In 1991, the creative team of Jean-Pierre Jeunet and Marc Caro introduced movie-goers to their nightmarish view of a post-apocalyptic world where troglodytes inhabited the underground and a butcher relied on apartment tenants to keep his meat cabinet full. Delicatessen, a bizarre black comedy, became something of a cult hit — certainly not everyone’s fare, but those who got it, loved it. Now, four years later, Jeunet and Caro are back, and, with their latest film, The City of Lost Children, it’s apparent that they have neither moderated their approach nor mainstreamed their vision. The City of Lost Children is as visually striking and daringly offbeat as its predecessor. 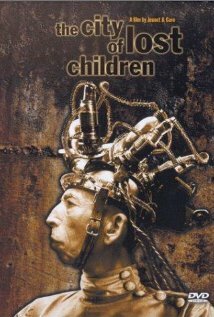 In The City of Lost Children, Jeunet and Caro have presented another gloomy world where “normal” life is no more. The film is saturated with atmosphere and features some of the most imaginative set construction of the year. The picture works in part because the film makers have taken the time and effort to frame a strange land where all their quirky characters can live and operate. Jeunet and Caro’s movie is thematically and stylistically inspired by such diverse sources as Frankenstein, Dracula, Brazil, Time Bandits, and The Wizard of Oz. Like Delicatessen, The City of Lost Children is characterized by dark, twisted humor, yet this movie is more of a fantasy than a macabre comedy. The City of Lost Children relates dreams to creativity, youth, and wonder. 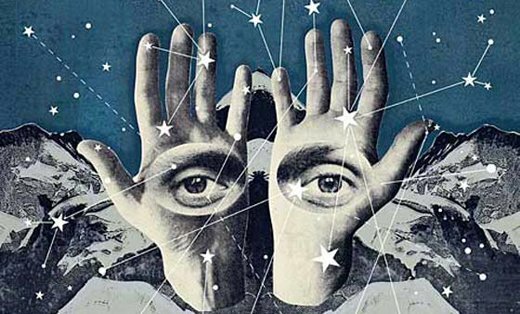 The capacity to escape the rational world through imagination fuels not only the desire to continue living, but the need to make something out of one’s life. In this film, we are introduced the brilliant-yet-warped mad scientist Krank (Daniel Emilfork), who is aging prematurely because he cannot dream. In an effort to stay alive, he has begun capturing children to steal their dreams. One of the toddlers abducted by Krank is little Denree (Joseph Lucien), the brother of a simpleminded circus strongman named One (Ron Perlman). One is joined in his search for his brother by Miette (Judith Vittet), the nine-year old, wise-beyond-her-years leader of an orphan gang. Together, One and Miette seek to penetrate Krank’s fortress; elude his six cloned henchmen (all played by Dominque Pinon), the deadly Miss Bismuth (Mireille Mosse), Irvin the talking brain (voice of Jean-Louis Trintignant), and the scientist himself; and rescue Denree. It proves to be a difficult task. While much of The City of Lost Children is surreal and strange, the film’s emotional center — the relationship between One and Miette — is nurtured with care and genuine feeling. Miette sees in One and Denree the chance for the family she has never known, although there are times when her intentions towards the older, child-like man seem more romantic than sisterly. It’s to Jeunet and Caro’s credit that they are able to present the ambiguities of this relationship tenderly, without ever injecting a hint of the sordid or perverse. Daniel Emilfork is wonderfully frightening as Krank. Bald-headed and evil-looking, he evokes memories of Max Schreck’s vampire in the classic silent film Nosferatu. Dominique Pinon, who had the lead in Delicatessen, uses his unusual face and goofy mannerisms to good comic effect in turning the clones into the Six Stooges. Judith Vittet shows great promise from one so young in her appealing portrayal of Miette, and Ron Perlman is effective as the strong, silent One. Like Delicatessen, The City of Lost Children won’t be to everyone’s taste. In fact, even though I thoroughly enjoyed Jeunet and Caro’s previous film, it took a while for me to warm up to this effort. The first forty-five minutes are poorly-paced and it’s easy to get lost down one of the script’s many dark, maze-like alleyways. The film tends to lurch along in fits and starts until Miette becomes established as a central character. From that point on, improvement is immediate and consistent. For those who enjoy the offbeat, The City of Lost Children is worth taking the time and effort to find. Tips on how to be a successful filmmaker during the recession. What do you do when all the news is bad news? Layoffs, bank collapses, credit constriction. Gloom is the swine flu of our media ecosystem, and it’s hard to ward off infection and hysteria. Our economy’s become a dark, frigid sea that we’re supposed to distance swim without instruction or a shore in sight. So what does that mean for us as creative individuals? First and foremost, we need to recognize that we have unique resources. The news may be bad, but we started adapting to murky economic realities long before most people ever dreamed of a financial crisis. We’ve evolved for this extreme environment, like those crazy deep-sea fish — the glow-in-the dark ones with lamps on their heads. We may not be pretty, but we know how to survive in dark waters — and now the whole ocean’s gone dark. Everyone else is panicking. They don’t know how to live like this. But those of us used to late-night edit rooms, 20-hour days, Red Bull, ramen and shoebox apartments… we already know how to swim in these waters. We’ve already developed our weird adaptations in order to find work, food and friends, and now we’re at an advantage. While everyone else slows down or stops, we can see clearly and keep creating. While others are blind in the dark, we can be proactive and fearless, and by taking some pretty simple steps we can make major leaps in our work and our careers. 1. Commit yourself to filmmaking. First, stop equivocating and commit to the long-term goal of being a filmmaker. You’re either in or you’re out — decide. Then recognize that living day-to-day, throwing everything into the next project without regard for what follows may not work over the long term. It’s a question of pacing. If you still want to be doing this when you’re in your forties, fifties and eighties, then you need to construct a life that functions. Committing to being a filmmaker means making all parts of your life work well. 2. Dedicate yourself to a lifetime of making inventive, rigorous work that matters. If you’re going to do this for the rest of your life, then you must ask yourself, “What am I making?” Is what you make the best possible thing it can be? Have you done the thinking to bring real artistry to your pursuit? Commit to rigor over fluff and meaning over flash. The world does not need more predictable fare. The world needs films that share something about our moment; something that cannot be seen in any other way. To be a great filmmaker you must be inventive and rigorous. So swear to yourself that you will be as fearless as possible in pursuit of this goal. 3. Use your creative skills to build your future, not to deny your current situation. 4. Spend with clarity and save with purpose. Why is it that when someone says, “You can’t make that movie,” you think, “Yes, I can,” and if they say, “You should have some savings,” you say, “There is no way.” Recognize that you are skilled at making a lot happen with little money and use that skill on your work and your life. You’re a filmmaker, you know how to build real things from no resources. With planning and forethought you can both make your movie and slowly build up savings. Be ruthless about the difference between what you want and what you need. Track your money, making sure you’re spending it well and prioritizing things that really matter. The goal is to save. Set a target savings amount. If you can, buy only what you need and barter for whatever else you want. Use eBay and Craigslist for bargains on all those weird little things you cannot live without. For your films, be clear that big movies need big partners. If deep-pocketed partners aren’t in your future, you need to change your “at any cost” strategy. Narrative filmmakers may need to embrace the era of the small movie: small containable scripts, few locations, small crew. You also may need to deepen and wield your knowledge about local and international tax credits. Both narrative and documentary filmmakers need to really research the grant landscape and be realistic about the odds of receiving funding. Also don’t be afraid to slow down your schedule to benefit your work and your pocketbook (remember everyone is adjusting — no one will blink at a schedule change). A slower pace means you can fit your film around your money job and use the extra time to keep on solid financial footing and deepen the work. Keeping your money job allows you to move forward without falling too far behind. However if your film is topical in a way that means it must be shot right now, then you need to really know how much cash it will take to make it happen. So be realistic and clear about how much your film will cost and which funding sources are likely and which are not. Make a plan for what you will do if none of the funding comes through. Next, make a plan for if half comes through. Your goal is to understand how much debt you can take on. Be realistic about this part and set a limit before you start shooting. It’s important to know the answer to this in advance because during the crunch you can easily lose sight and get into trouble. You need to be honest with yourself — you may not sell this film. The debt you are accruing is yours and yours alone. Having a clear sense of this in advance can really help you make strong choices during production and post and could mean the difference between long-term debt obligations and solvency. 5. Get your credit in order. Remember that access to capital when you need it is good but bad debt can sink you. So if you have debt, commit to eliminating it: Figure out how much you owe, figure out what your upcoming costs will be and determine how much you can realistically spend each month to pay down your debt. Three good online debt resources are Snowball down your debt, the smart money resources, and powerpay. For those of you with no credit, you can establish credit by joining a local or national credit union and obtaining a debit card that you can then trade up for a credit union charge card. Either way, dedicate yourself to raising your credit/FICO score. Use resources like the Filmmaker article from Spring 2009 to assist you so you have the credit resources you need when you need them. 6. Embrace multiple income streams. Other forms of income make your work possible. Instead of fighting this, be grateful. It’s amazing how much energy you save if you stop fighting this paradigm. If you need more money, find new sources of income based on your odd skill-set and apply No. 3. If your job is demeaning or bad, commit to finding a new job and leaving your old one. But remember that this is a recession. Don’t just up and quit your day job. You might not find another one as easily. And frankly, your day job is keeping your movie happening even though it feels counterintuitive. Sure, you may need to make adjustments to keep your second (or third or fourth) job from interfering completely with your film, but it’s likely necessary to keep you moving ahead financially in these times. By first adjusting your attitude you greatly improve your chances of making the whole thing work. 7. Create strength through community. Your friends and colleagues are your greatest resources — they have skills, equipment, intelligence and savvy. Clues to survival reside with our peers and our community of fellow filmmakers and artists. The choices they make will help us solve our own problems and make better choices. Take colleagues you admire out to coffee, lunch or dinner, and ask questions about how they make it work. Also, do things that help you enjoy your community. Too often in the single-minded pursuit of filmmaking we forget to enjoy our friends. Movies get made by groups of people. Make sure that this group brings you joy. Communal dinners, caffeinated meet-ups, tequila. These are all tools to bring folks closer together, and the better we play together, the better we work together. 8. Manage your goals and chart your progress. Set your goals in writing. Studies show that writing down your goals drastically improves your chances of meeting them. Break down the steps. Any goal, even a big one, is achievable if you break it down into the smallest steps possible. Then share your goals. Make yourself accountable publicly so that you have an incentive to follow through on things like debt reduction. Also, track and share your success. Use the discipline of goal tracking to bring order to your life. Then use the lists to remind yourself that you are making progress. It’s too easy to think you aren’t moving forward if your goals are really big, but progress is progress, so make sure you can chart yours. 9. Give more and participate in making the world a better place for all people. When you focus on your own challenges it’s easy to forget that the world is a difficult and challenging place for those less fortunate than yourself. Don’t be a selfish artist, be a good citizen. Volunteer for a cause, a campaign or a soup kitchen. Help your friend or neighbor. Give advice, give your time, give your expertise. Especially do this when you’re afraid. It will banish the fear. It will also lead you to new and unexpected opportunities. And remember, even when it’s hard, we are blessed to be able to do what we love. 10. Make the decision to make your best work and be good with money and enrich the world. Now go out there and kick some cinema booty. The Boxer” is the third single from The Chemical Brothers 2005 albumPush the Button, released in early July 2005 (see 2005 in music). The song features The Charlatans lead singer Tim Burgess on vocals. It is notable that it was the first single released by The Chemical Brothers not to peak within the top 40 of the UK Charts. It’s the second Chemical Brothers single to feature Tim Burgess following “Life is Sweet“, which was released 10 years before. 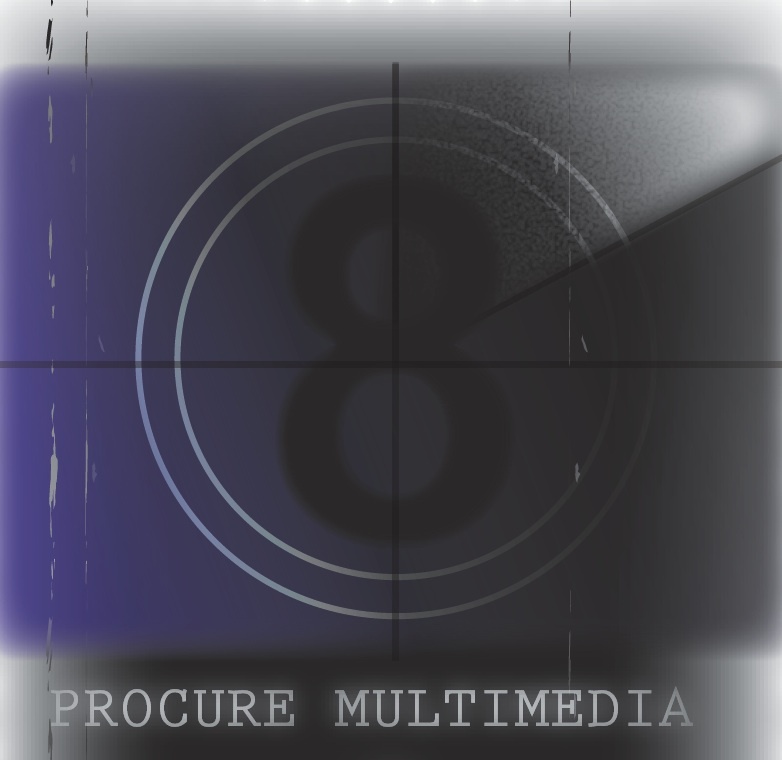 TRULLY ONE OF PROCURE MULTIMEDIA MOST INFLUENTIAL GROUPS OF ALL TIME.